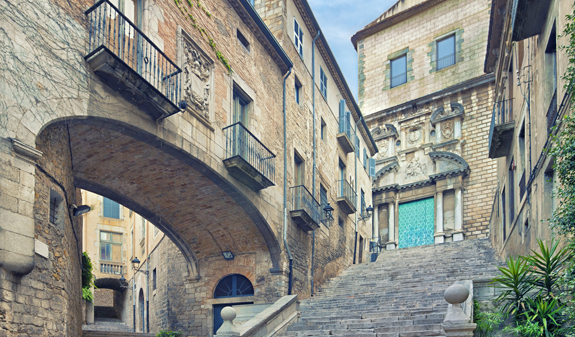 A city straight out of a movie, scenario "Game of thrones"
Get away to Girona and enjoy a city that has fascinated TV and film cameras! You'll discover its imposing cathedral and walk through the narrow, winding streets of its ancient Jewish Quarter, El Call, which is one of the best preserved in the world. 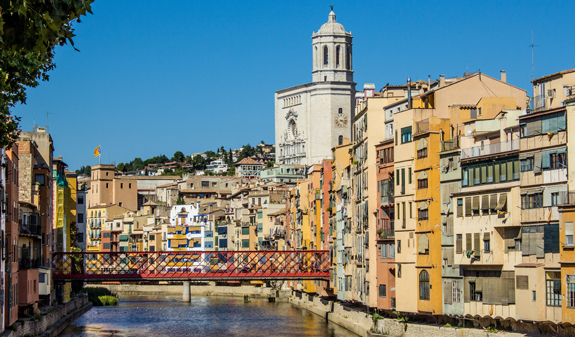 Girona's old quarter will take you through 2,000 years of history. The guide will help you relive the great events the city has experienced since it was founded by the Romans and you'll encounter some of its leading figures and understand how its character has been shaped and why it is so irresistibly charming. 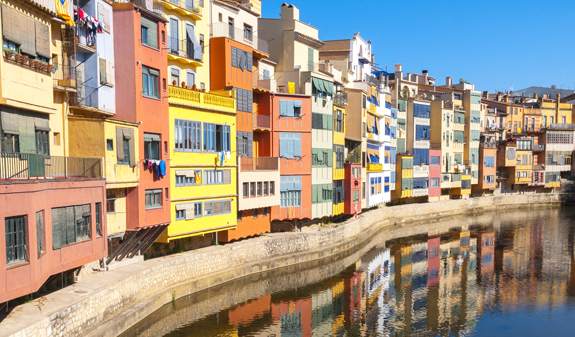 In the old quarter, you'll also be able to lose yourself among its steep, beautiful streets and porticoed doorways and admire the colourful facades of the houses on the river Onyar, which are arguably the city's most iconic image. 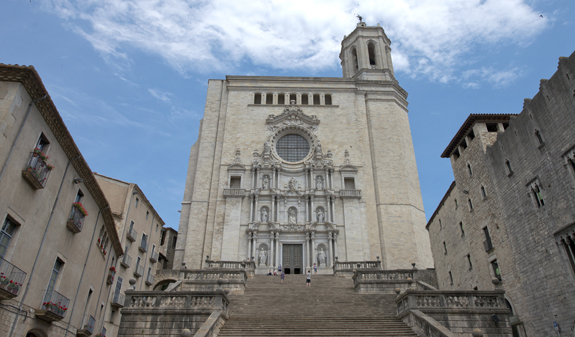 Did you know that Girona was used as a location for the US series Game of Thrones? It isn't the first time the city, with its Cathedral, Jewish Quarter, ancient walls and Arab baths, has been used as a TV and film set. 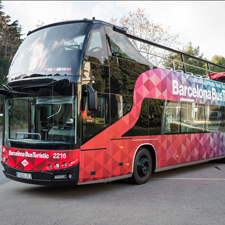 Return trip from Barcelona to Girona by air-conditioned bus. Official bilingual tour guide (Spanish and English). 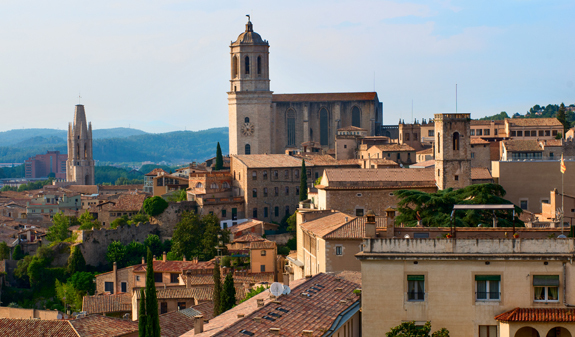 Guided walking tour of Girona and free time to explore the city at your own pace. Times: 1/4 to 31/10, Monday, Wednesday, Friday and Saturday, at 8am. 1/11 to 31/03/20, Monday, and Friday, at 8am. Length of tour: 6.15 hours. 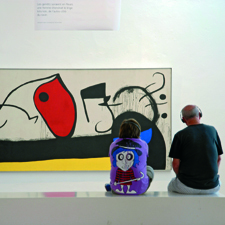 Meeting point: Julià Travel offices, calle Balmes 5. Metro: L1 and L2: Universitat stop or L1 and L3, Catalunya stop. Bus: 14 and 59. FGC and Rodalies Renfe: Catalunya stop. You should arrive 15 minutes before departure time.